This game had a certain background. 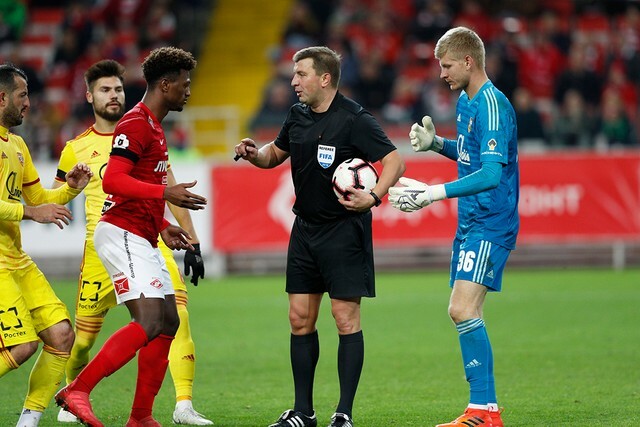 The day before both teams, having made it to the quarter-finals of the Russian Cup, were drawn against each other. 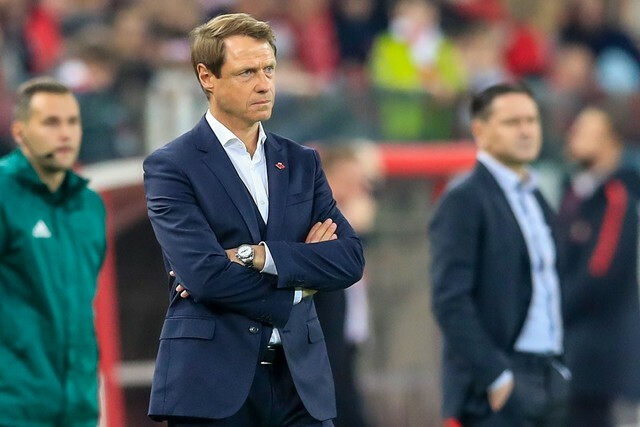 Ural also have Dmitry Parfenov as a head coach, who has won the league with Spartak on four occasions. Last season he managed Tosno - winning the Cup with the team and knocking out Spartak in the process. 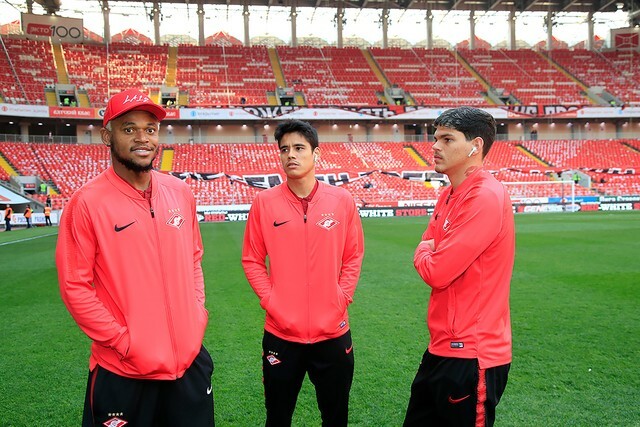 So the game against Ural was also a meeting with an old friend. Interim manager Raul Riancho, like he has promised the day before the game, rotated the starting XI. Only Dzhikiya and Kutepov survived from the squad which has beaten Anji on Thursday. Otherwise the team heavily resembled the one which faced Rubin, with the added bonus of an injury-free Luis Adriano. The game was a slow-burner for the first 25 minutes. 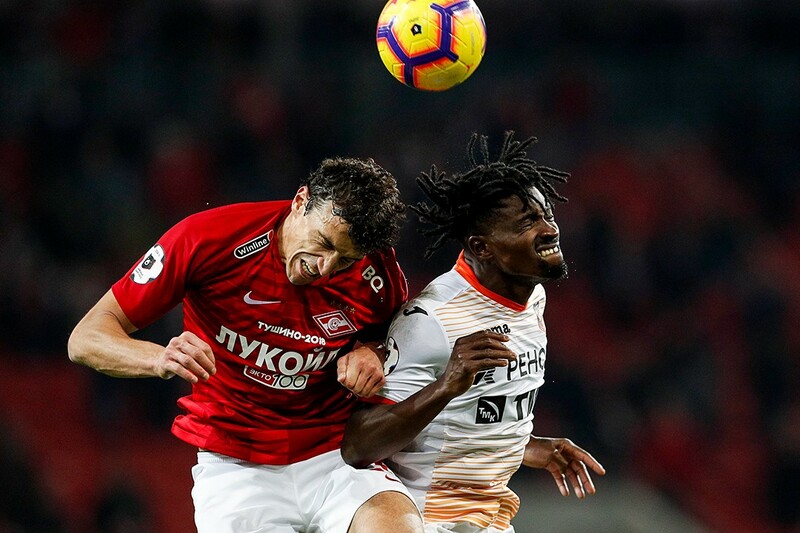 Spartak had distant shots from Bocchetti and Tashaev to show, Ural conjured up a couple of dangerous low crosses. Our best chance came when Popov’s stinging effort was parried away by Godzur, not without a measure of difficulty. Meshkov then had reason enough to award a penalty against the visitors after Tashaev was brought down inside the box. However the referee chose not to blow the whistle on that occasion. Shortly after Dmitry Parfenov’s side went ahead: Dimitrov’s clever free-kick caught Maksimenko off guard. Spartak could have equalised almost instantly, but Ignatov’s volleyed effort went just wide. The visitors then could have doubled their lead. And right before the half-time whistle Dzhikiya’s spectacular bicycle kick grazed the bar. After the restart Riancho introduced Hanni and Eremenko to the proceedings. The pair made an instant impact, threatening Godzur’s goal on multiple occasions. Godzur was equal to Hanni’s 64th minute effort and Luis Adriano’s put the rebound wide. Spartak did eventually equalize, in the 74th minute. Kutepov’s pass found Hanni inside the box and the Algerian’s low cross was put away by Luis Adriano, for what the Brazilian’s first goal this season. But the joy was short-lived, as the visitors restored their one-goal advantage 2 minutes later. Maksimenko did well to save the initial headed effort, but no one was near to clear the lines, so Panykov rolled the ball into an empty net. Spartak piled men forward. Unfortunately Hanni and Eremenko put their efforts just wide. However it was Melgarejo on the end of the best chances. He found himself one-on-one with the keeper after being put through by Adriano and then, in added time, the Paraguayan missed the goal with a volleyed effort.